Solid Hardwood Flooring comes in wide variety of wood species. It is one or two solid piece of wood that have tongue and groove side for installation. 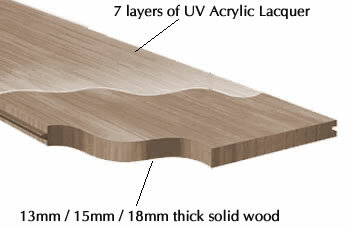 Solid hardwood comes in different thickness, 13mm, 15mm or 18mm.